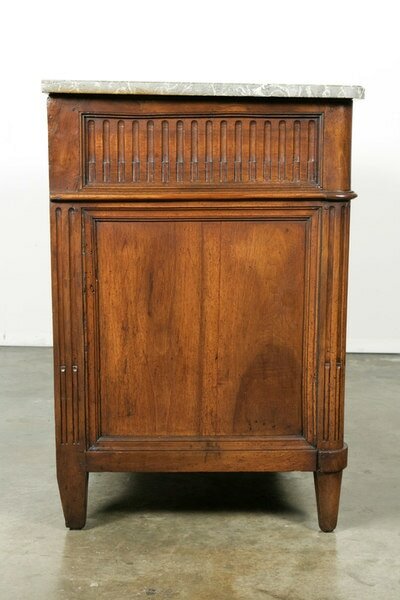 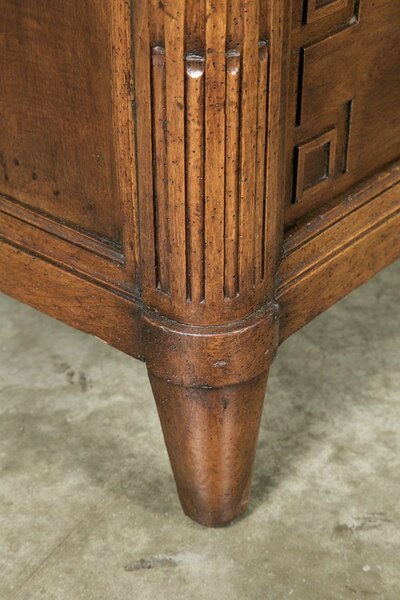 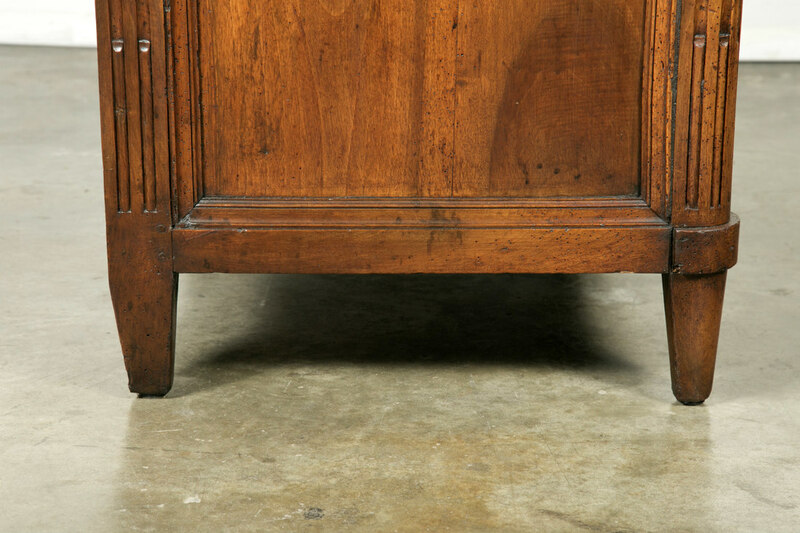 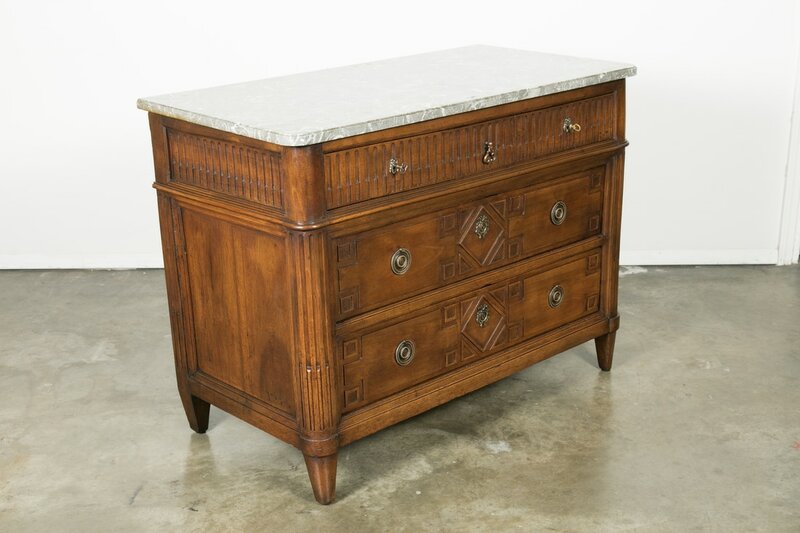 Wonderful 18th century period French Louis XVI walnut commode having a high polished grey Saint Anne marble top with white veins and canted corners that overhangs the body. 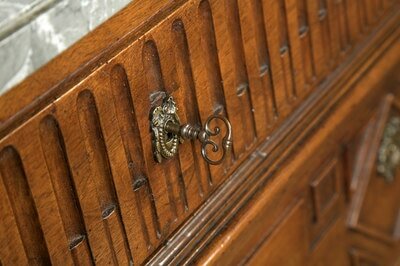 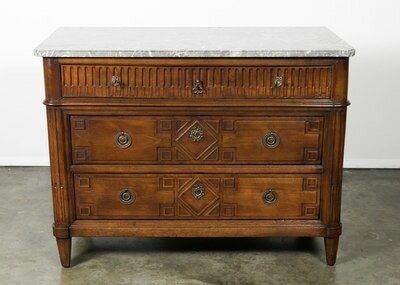 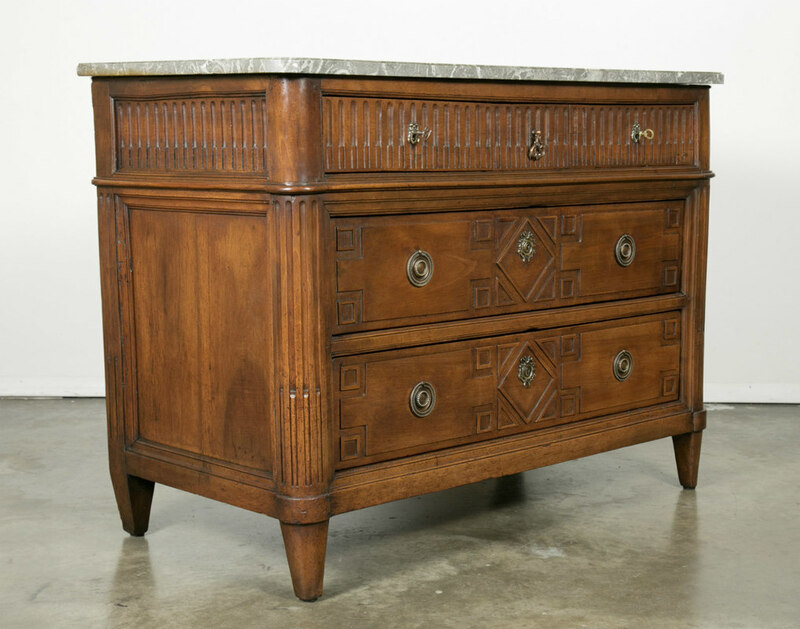 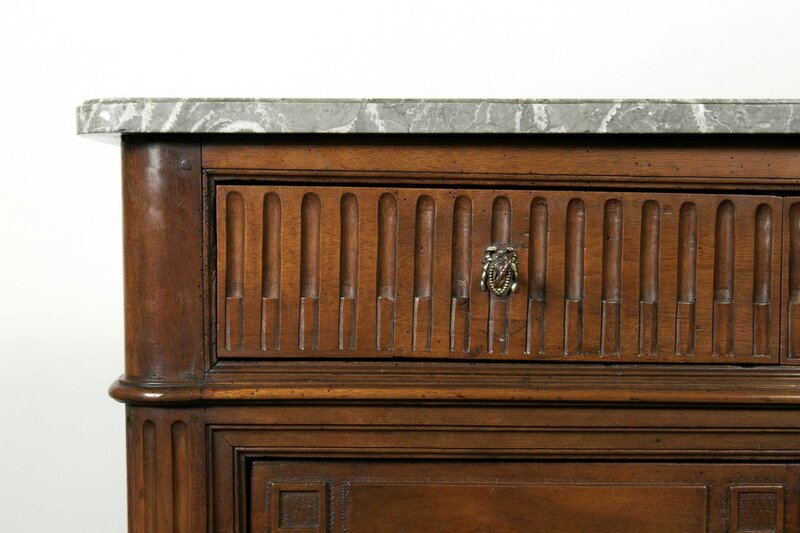 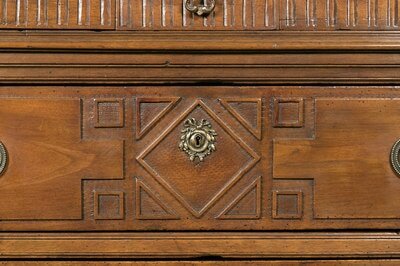 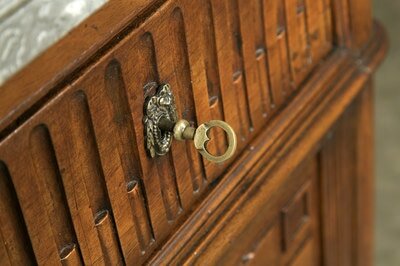 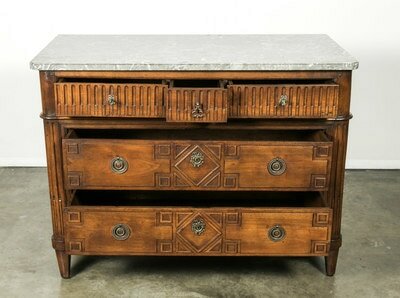 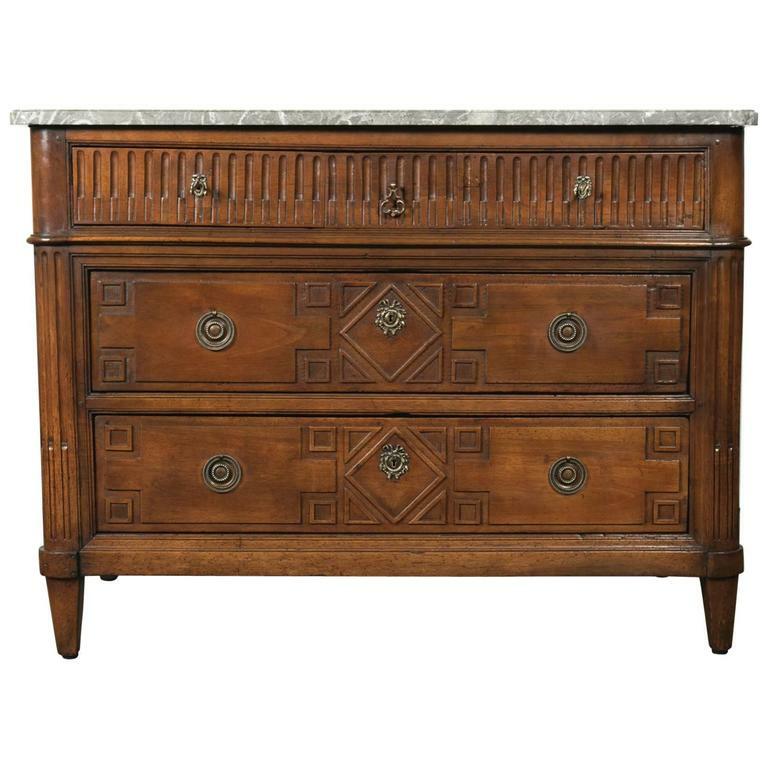 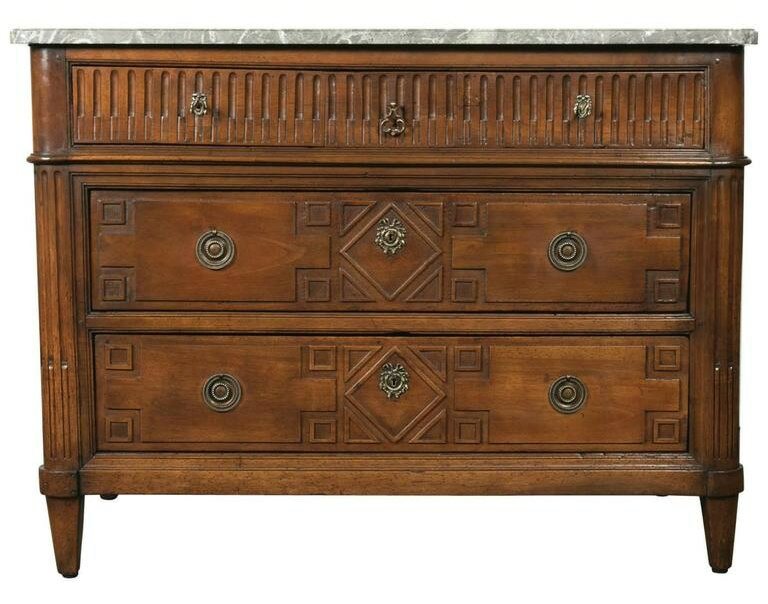 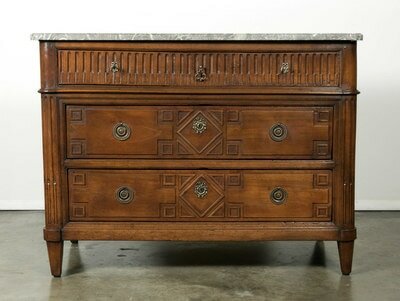 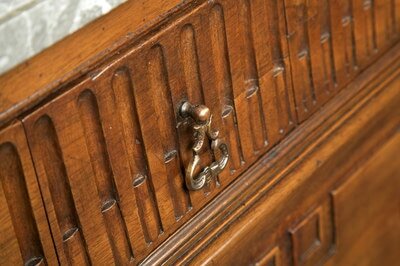 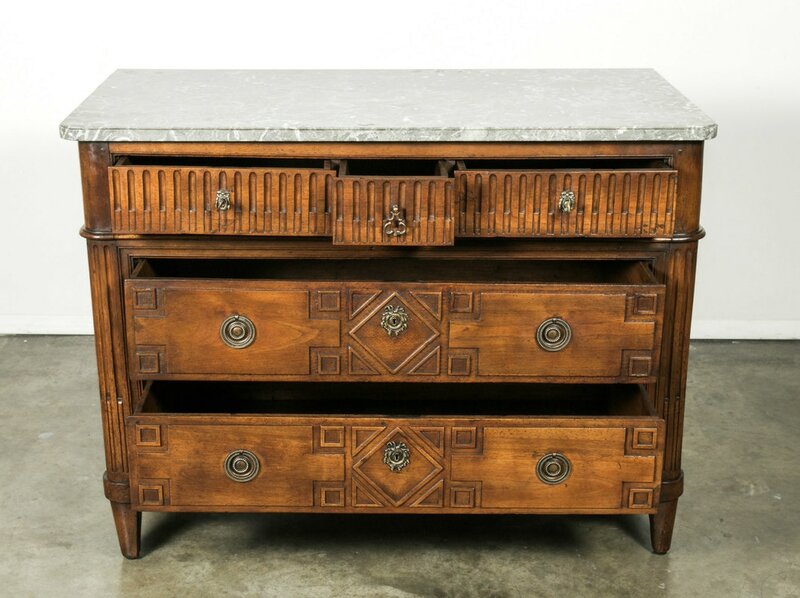 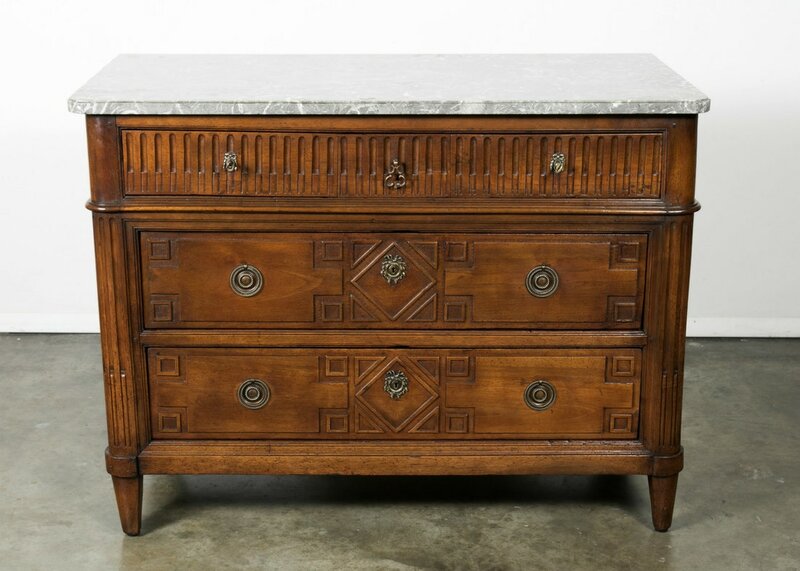 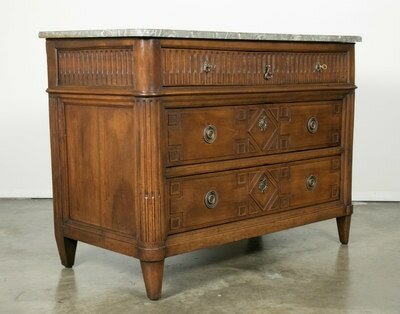 The five drawers feature timeless neoclassical hand-carved elements and retain the original aged bronze hardware. Supported on curved and fluted stiles sitting on short tapered legs. 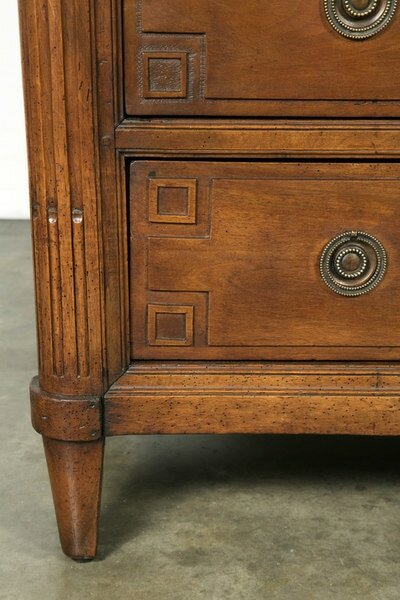 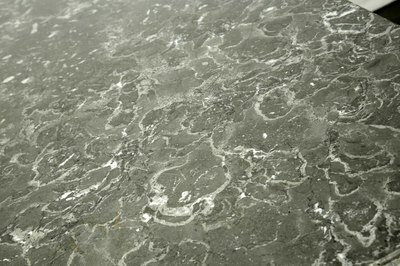 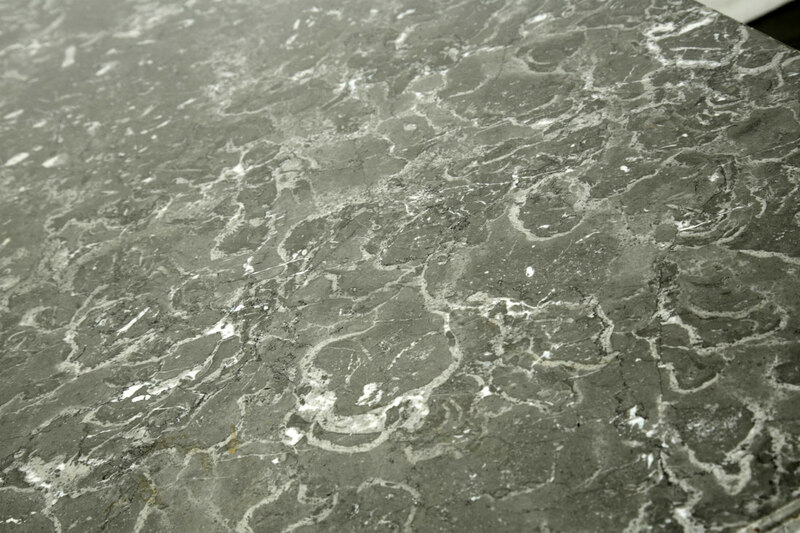 Exhibiting a beautiful rich color and patina and clean lines that complement both contemporary and traditional interiors. 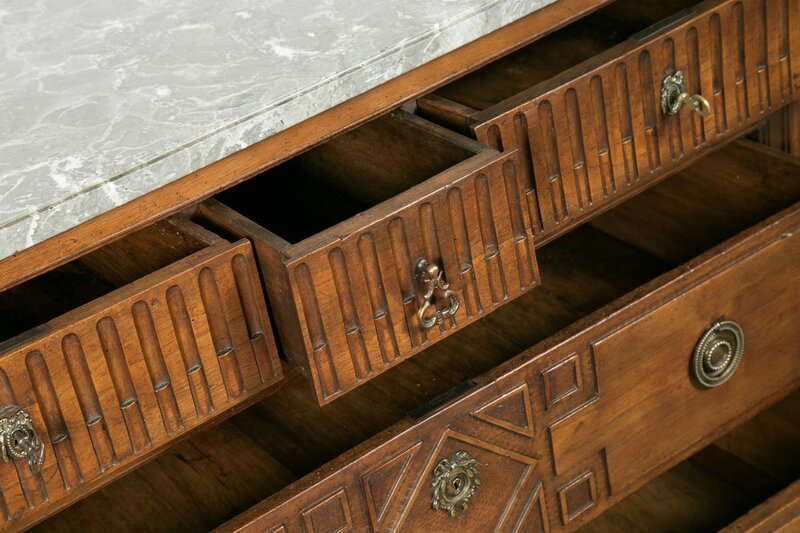 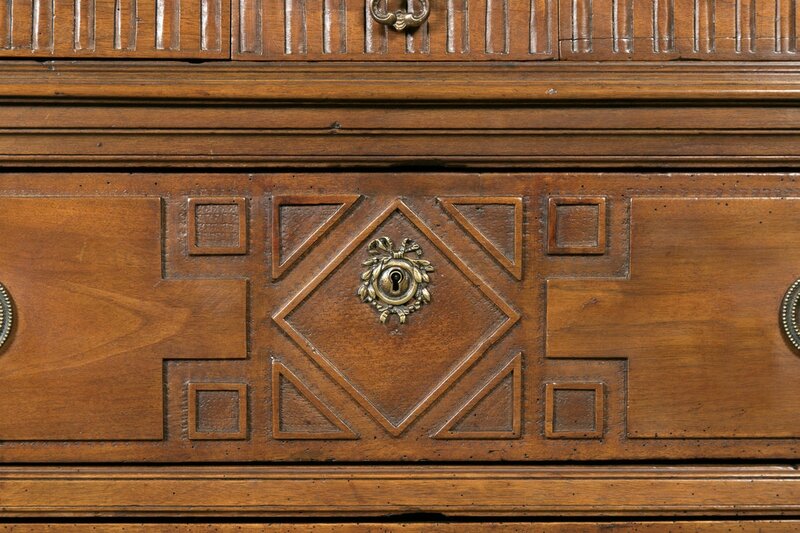 The scale of the drawers ensures an ample amount of storage wherever this chest is placed.